Can't say I enjoy looking at this picture of him with a DEADLY stick in his hand - too bad if he had quit earlier maybe he would have been with us a lot longer J.M.O. For younger people it is hard to believe that in those years, people used to smoke without constantly being reminded that smoking could be deadly. Simple as that. I haven't seen many but there are some photos of Jane and Linda smoking. 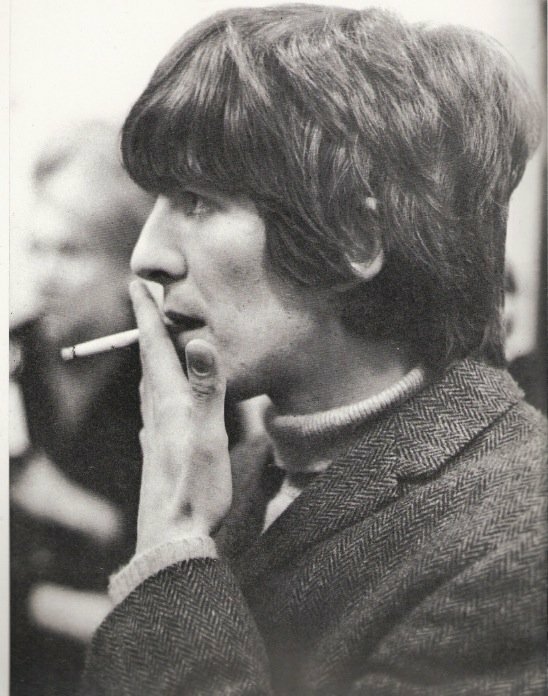 I believe every Beatle, associate and wife or girlfriend smoked up to at least the late 70's when Paul says he quit. It was very common back in the 1960's. I Don't know if Olivia, Heather or Nancy were ever smokers.